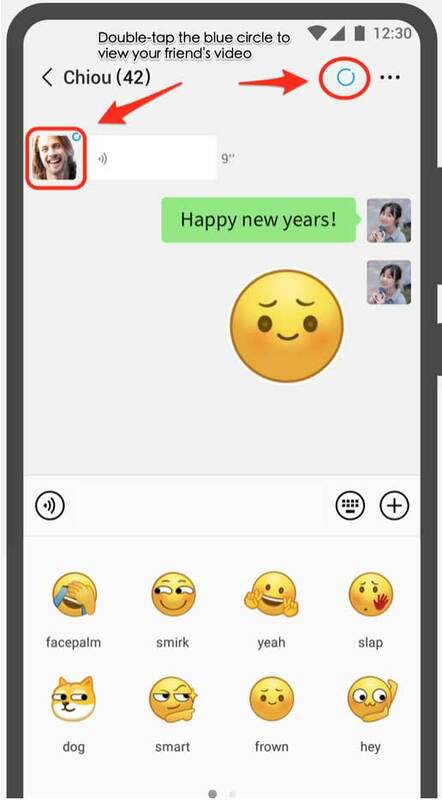 WeChat is celebrated it’s 8th anniversary this month. 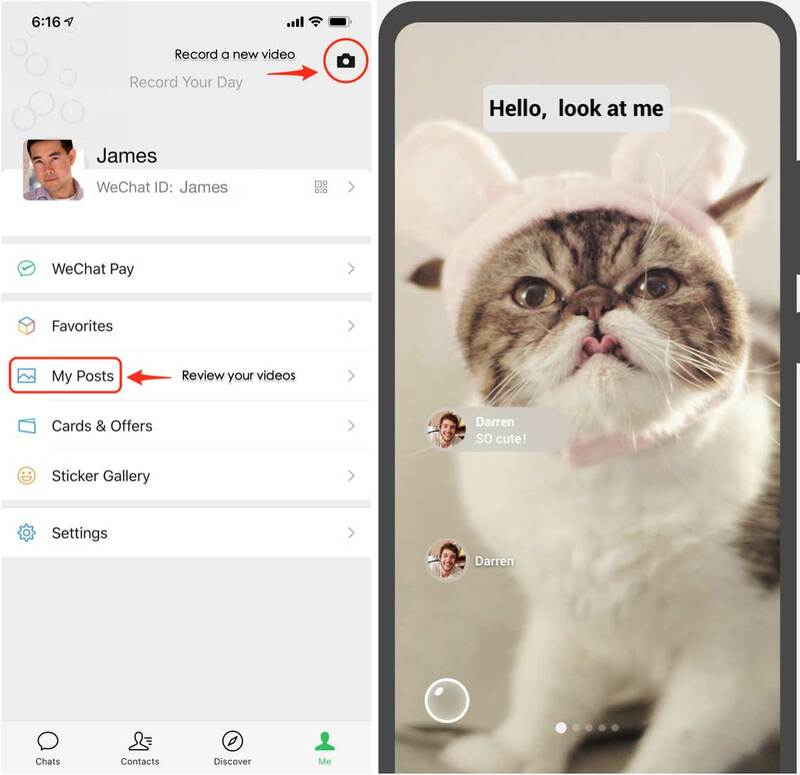 Every day over one billion people log in to WeChat as it delivers seamless communications service and provides new ways to share and connect with friends. WeChat has been redesigned to be lighter and brighter so you can concentrate on the messages and features that are important to you. Aside from a lighter colored WeChat logo (above), we’ve redesigned the icons for all of WeChat’s features, changed to a simpler and lighter color palette, and adjusted the spacing for things like chat bubbles and menus to make WeChat easier to read. Sharing your life with your phone’s camera has never been so easy. Just go to “Me” and tap the camera icon in the upper-right corner to add to your Time Capsule. Use your camera to capture your pet’s tricks, an awesome basketball shot, or any of life’s little tidbits. After recording a video, you can decorate it with text, stickers, or even background music. Once your Time Capsule video is completed, it can be viewed for 24 hours by your friends. Likewise, you can find your friends’ recent videos when you see a “blue circle“ next to their profile photos in chats. Double-tap their profile photo to view their Time Capsule videos. As you collect these videos over time, you’ll be able to revisit old memories by going to “Me“ -> “My Posts“ -> and tapping “Time Capsule“ to see the old Time Capsule videos that you captured. These old posts are only visible to you. This new feature ensures you know when you receive that important message from your friend, significant other, or business associate when time is of the essence. 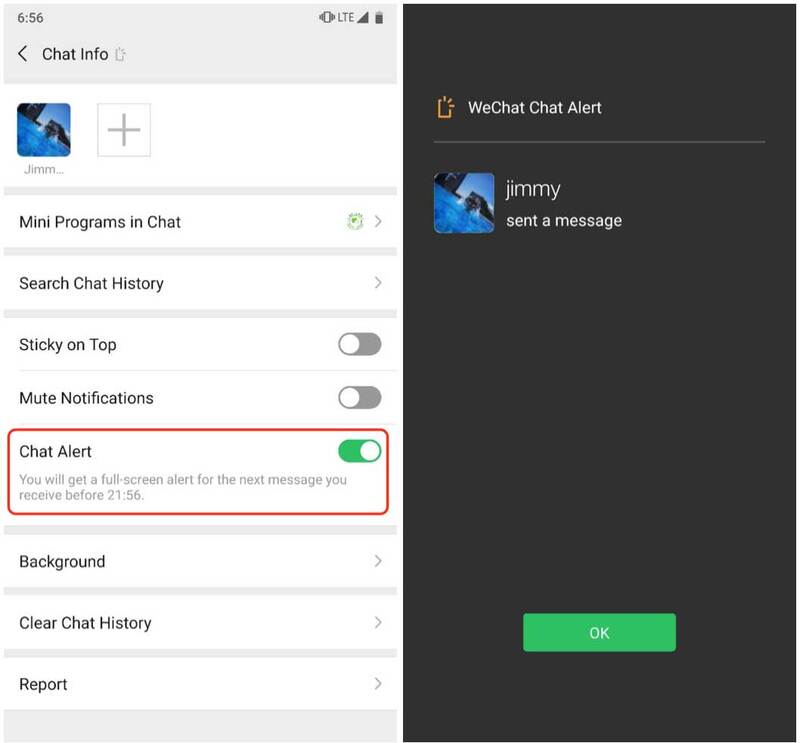 If there is a chat that is particularly urgent, you may configure a Chat Alert by tapping the “…” menu in the upper-right corner of the chat screen and enabling “Chat Alert“. For the next three hours, you will receive a special alert when you next receive a message in this chat. Your phone will vibrate and a fullscreen alert will notify you of your new important message. Use Chat Alerts to make sure that urgent messages receive your special attention. 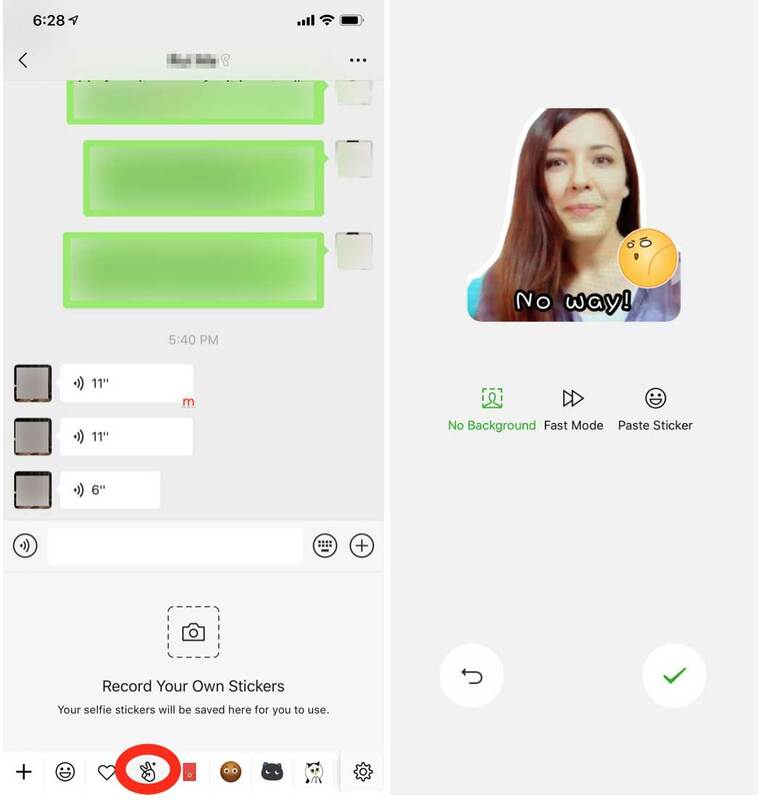 In WeChat v6.7.4, we launched Selfie Stickers as a way to express your inner emotions in a fun and colorful way. Users responded by creating millions of their own, customized stickers. Due to popular demand, we’ve made it easier to find Selfie Stickers. Just tap the “Stickers“ button in the chat bar and tap the “Selfie Stickers“ tab in the stickers bar. Create your own stickers and share a laugh with your friends as you chat away. 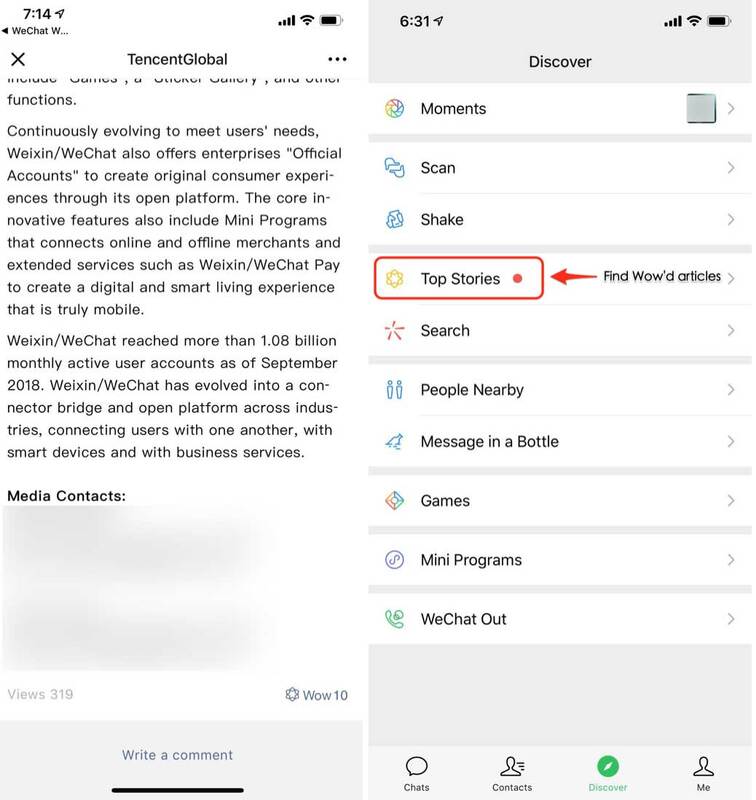 As part of the WeChat’s Official Accounts platform, Subscription Accounts allow media, brands, and individual authors to connect and share news, updates, and posts with a vast base of readers. When reading an article by a Subscription Account, you can now tap the 好看 (“Wow“) button (formerly “Like”) at the bottom of the article to express your appreciation. This will automatically result in the article being shared to your friends via the new “Wow” feature. Within Top Stories, we’ve added a “Wow” tab that allows you to view each day’s articles shared by friends when they similarly tapped the 好看 (“Wow“) button. As Top Stories is only available in limited regions, you may have to enable the feature first by going to “Me“ –> “Settings” –> “General“ –> “Manage Discover“. After enabling, you will find on the Discover screen the “Top Stories“ entry, which you can tap and enter to see the new “Wow” tab. “Wow” makes sharing news and articles easier and more social. 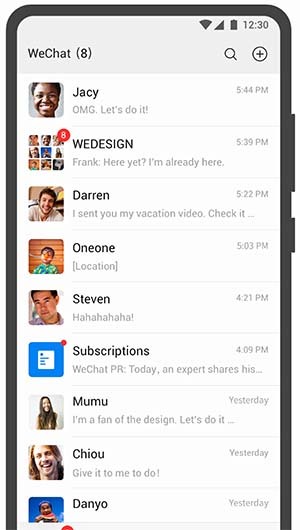 ​WeChat v7.0 brings a whole new level of convenience and sharing to your phone. Download and try it now from the App Store or Google Play!